When I was first asked to write this post, I had to think about it for a minute. Yes, I have been married for over ten years, and they passed quickly. We’ve had our share of ups and downs. Even through all that and 2 kids later, I do still feel we have that special “spark.” I’m not sure if the advice I give will be relevant for every couple and every relationship, but here are some little things that work to keep Jared and I close. Everyone has their things to do and people to see on an everyday basis. While my husband works and I stay at home raising the kids, he still calls several times a day to check in on what we are doing and how the boys are behaving. It really makes me feel like he’s thinking about me even when we are not together and that we are both in this parenting thing together. While my hobbies might vary from time to time, whether it’s reading or shopping or clothes, my husband is really only interested in two things: sports and video games. On his off days I give him time to play games if he wants to, and it’s easy for me to watch sports with him because I like to see his passion for the game. He also encourages me to go off and have time by myself or with my sisters to do things I want to do. Even if you don’t necessarily love the things your partner does, it’s important to make an effort to try or at least not openly insult the hobbies they have. If the hobby does become an obsession that makes your partner ignore household and parenting duties though, it’s time to have a talk. Which brings me to my next point–if you’re having an issue with your partner which is truly bothering you, say something! Rather than letting your irritation build up to the point of anger which will erupt into a shouting match, directly and rationally communicate about what’s bothering you. The goal is to get any problem out into the open–they might not even realize there is a problem! If the problem is something both of you are having trouble getting over, it might be time to bring in an outside party–I love the convenience of online therapy from betterhelp.com. Although we don’t always have the time or the money to go out on fancy dinner dates, we often just wait until the kids are in bed and have a little meal to ourselves with no distractions. We’ll set the table with low lighting and a bottle of wine, and just eat and lazily chat about things. We don’t have to get dressed up and hire a babysitter. It helps us feel like people and not just parents, even though we inevitably talk about the kids! If you and your partner are needing a sweet date night, check out the upcoming film Forever my Girl. 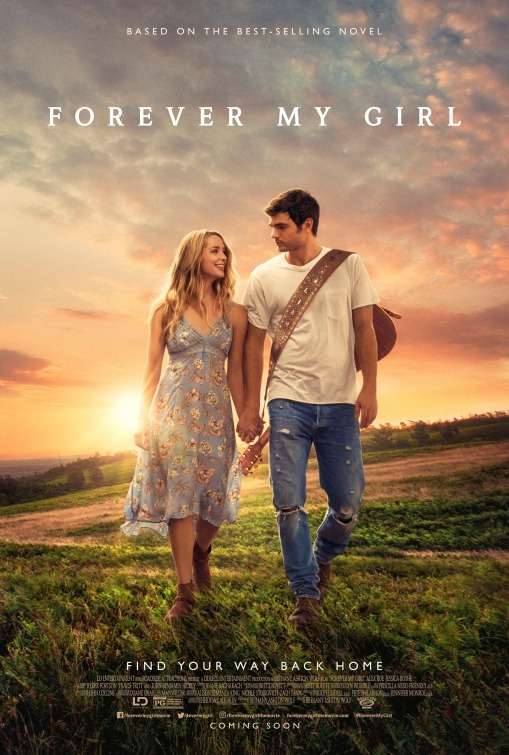 Forever My Girl tells the story of music super-star Liam Page (Alex Roe) who left his bride, Josie (Jessica Rothe), at the altar choosing fame and fortune instead. However, Liam never got over Josie, his one true love, nor did he ever forget his Southern roots in the small community where he was born and raised. When he unexpectedly returns to his hometown for the funeral of his high school best friend, Liam is suddenly faced with the consequences of all that he left behind. Forever My Girl is an uplifting romantic film about second chances. This wonderful film is perfect for all of us who believe in courtship, romance, and love enduring all things. It also has an amazing music soundtrack that includes hot CMA New Artist of the Year nominee Lauren Alaina, Travis Tritt, and Alex Roe who stars in our film as country star “Liam Page.” It releases in theaters on January 19. Posted on January 11, 2018, in movie, Sponsored. Bookmark the permalink. Leave a comment.